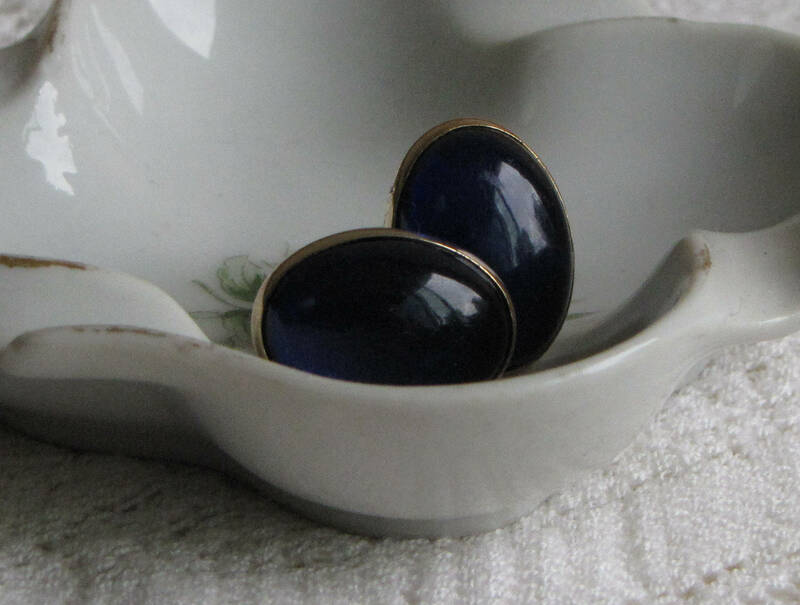 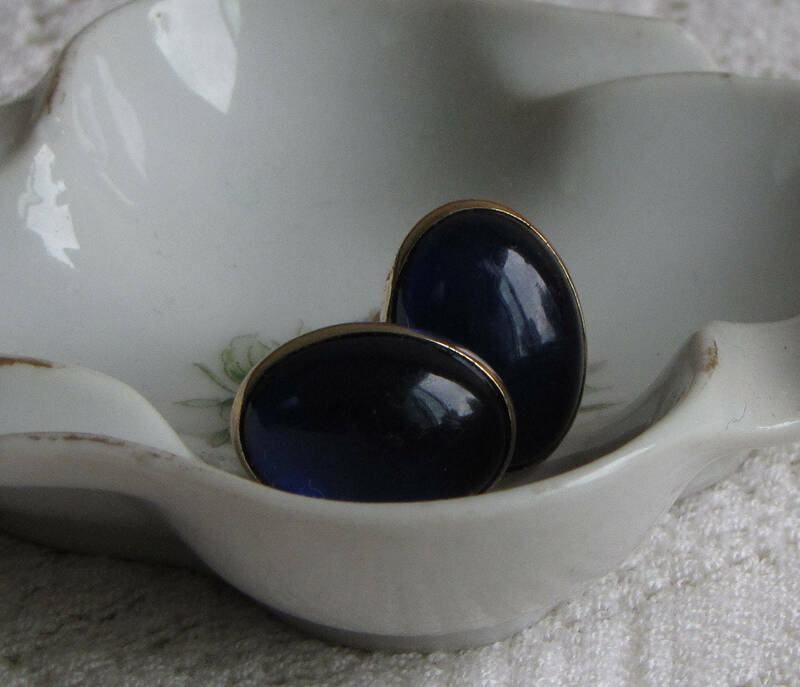 The listing is for a pair of Swank vintage gold toned with a cobalt blue cabochon setting. 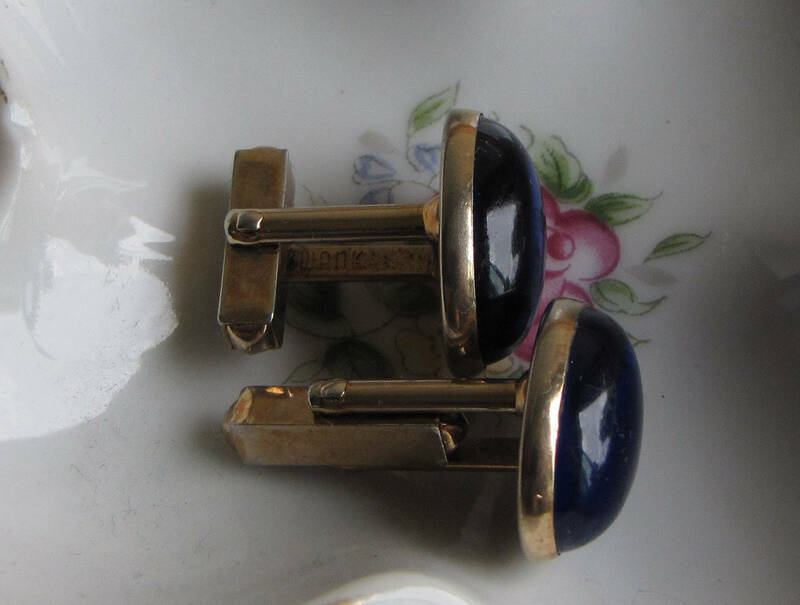 The closing mechanisms are in working condition. 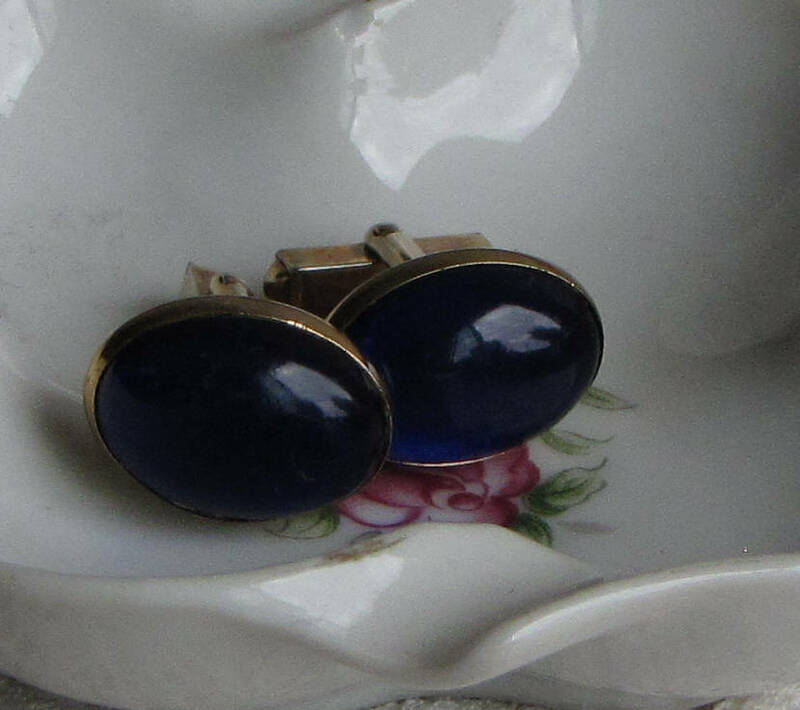 The cuff links are in good vintage condition; nothing chipped or broken. 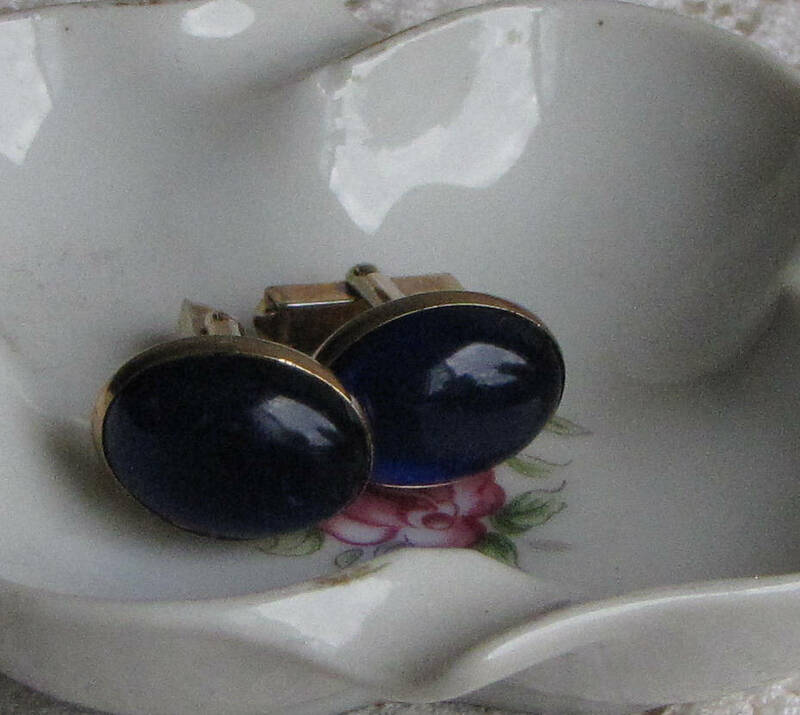 The cuff links measure 1-inch-long and .75 inches in diameter.